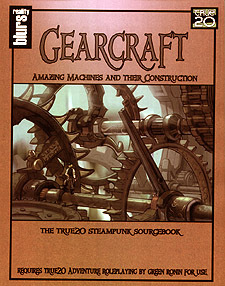 In your hands, you hold all the tools necessary to transform your True20 campaign into one rife with steampunk technologies that are only limited by your imagination. Complete rules for inventing, repairing, and salvaging are included as well as comprehensive rules for vehicle combat that you can drop into any setting. Progress is built on the back of dreamers. Using these rules, you can dream too.